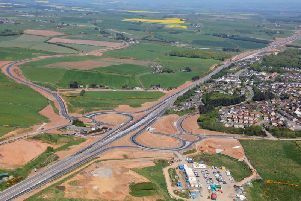 Ellon and District councillor Gillian Owen has voiced her disappointment after Transport Scotland revealed that no work will be carried out at the A90 roundabout near Ellon. Cllr Owen had written to Transport Scotland asking for resurfacing work and improvements to the road markings and attached a photo (above) to back up her argument. 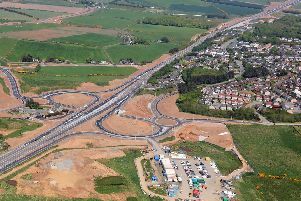 However the response she received said: "With regard to the lane markings on the approach to Ellon Roundabout, Aberdeen Roads Limited (ARL) has inspected the area under their Operation and Maintenance responsibilities and confirms that the directional road markings currently in place are in a satisfactory condition." Commenting on the reply, cllr Owen said: "I’m of the view that the picture speaks for itself and I am extremely disappointed at the response received. I will pursue other avenues to ensure these markings are refreshed quickly and hopefully before the new road opens."